Here we are, a year after Shark Tank and Wondercide has seen amazing growth. The show put us in front of a huge audience and we’re forever grateful to ABC, The Sharks, our customers and our fans. 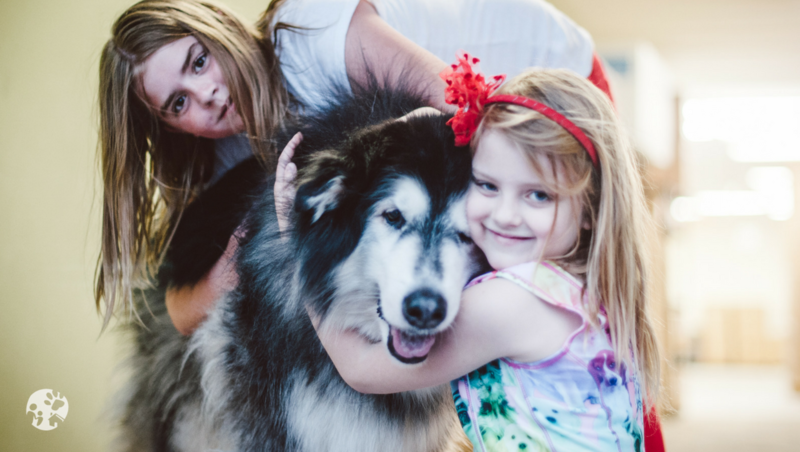 Our Founder and CEO, Stephanie Boone, continues to lead our team forward with a vision that energizes us: keep finding better ways to make natural products that help pets and people live without harsh chemicals. Stephanie’s dog Luna inspired Wondercide. 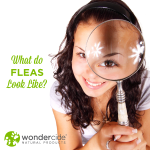 After a reaction to traditional spot drops for flea and tick control, Stephanie knew there had to be a better, safer way. If you’d like to know more about how Wondercide came to be, you can read Our Story. Today, Luna’s legacy guides us to help families live long, happy and healthy lives together. 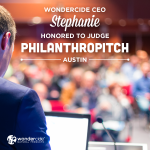 Here’s our chat with Stephanie about life and work at Wondercide since Shark Tank. She shares what’s changed, the inside story about being on the show, lessons learned and how we’re moving our mission forward. What’s changed for you since Shark Tank? The exposure and excitement for our brand after Shark Tank was massive! It’s been amazing to watch our company grow in both size and impact this year. Since the show, we launched a new formula with improved, aromatherapeutic scents and we’re hearing great things from our customers about it! What can you tell us that we might not know about your Shark Tank experience? I got the call to be on the show on March 24, 2015 – just hours after Luna passed away in my arms. I was so distraught! I didn’t want to pursue being on the show, but with time I came around. I felt compelled and responsible to share her story with others with the hope that it would save lives. I knew this was the opportunity and that I had to go. I was 4 months pregnant when we filmed and my daughter was 4 months old by time the show aired. 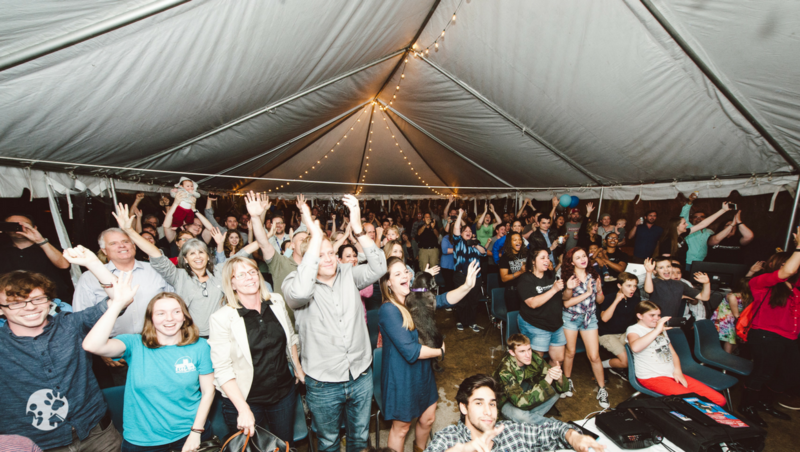 It was SXSW in Austin the week we aired, so our watch party was a parking lot party where over 200 people celebrated…in the POURING rain! Wondercide has the highest company valuation for a female founder in Shark Tank history (#girlboss) and 2nd highest of all companies. Mr. Wonderful is actually really nice (and he secretly loved us)! 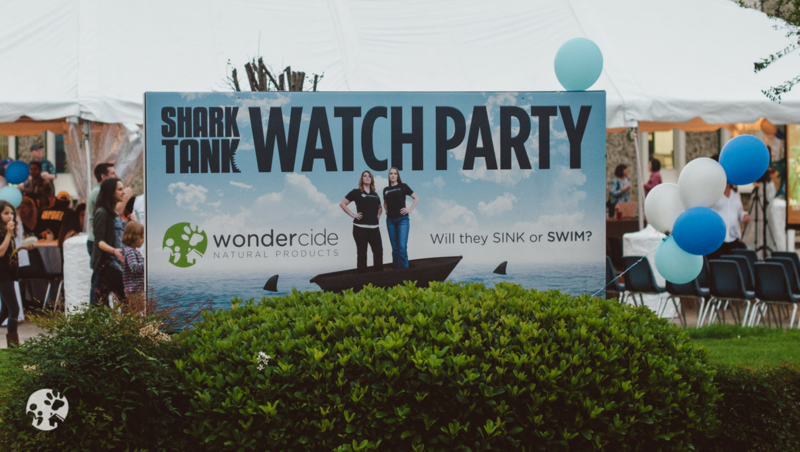 What’s been your compass during all the excitement, growth and inevitable change at Wondercide since the Shark Tank airing? The truth for me is that every challenge is an opportunity (and we have lots of both)! I try to remind myself of that everyday. As a team, we share the spirit of being thankful each week and are grateful for the opportunities we have to grow. My true north will always be Luna. Her legacy will always be our compass. 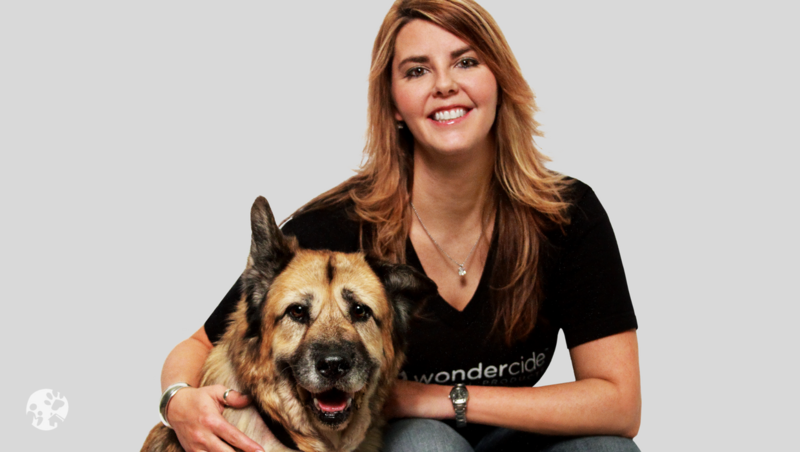 What makes Wondercide a brand that so many people love? Always curious for better, we are a team of tenacious problem solvers who inspire others to rethink their world for the better. We take a holistic approach to wellness and we solve difficult problems naturally. Through our work, we create an environment that is safe and fun for families. Our products are good for pets and people – and they work in harmony with nature. We are relentless about the effectiveness of our solutions and to ensure our products work, we hold ourselves to the highest standards. Our solutions are sourced in the U.S. and made right here in Austin, Texas. We are a community of carers and a helpful resource for others learning to work with nature’s ingredients. You founded Wondercide over 8 years ago. You’ve been on the top rated prime time TV show, Shark Tank, and lived to tell about it. What are some of your lessons learned? Trust your intuition. Humility and mentorship are essential. Plan. Execute. Repeat. Get aligned or get moving. Give yourself permission to say “No” more than “Yes.” Manage to Outcomes. A bottoms-up org chart puts the importance on customers and not C-suite. The CEO should be at the bottom supporting the team who supports the customers at the top. What was the best part of being on Shark Tank? While it’s been great to grow the business, the best part of being on Shark Tank is that we’re helping more families live healthy, long lives together with natural products that don’t contain harmful chemicals. Together, I know we can change the world for the better. We are honored and excited that our bigger-than-ever Wondercide family keeps spreading the word and sharing the love! YOU are the best part! 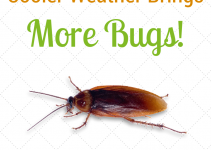 I am so happy that I found this web site before I gave my 8 cats the flea medicine that might have harmed them–[I lost 3 cats to Advantage]–my cats are house cats–some have never even been outside except for Vet visits–visitors brought fleas into my home from their pets–and they infested my cats===5 of them never had flea medicine so I tried to use Dawn baths but they hate water and I gave up on that–my family insisted I buy Revolution because they thought that was the safest and -of coarse the most expensive and I needed my Vet to ok it—-BUT I was scared to go ahead and use it after spending 106.00 for 6 doses—THEN browsing on my computer to read the comments and going on a site about the safety of these drugs I found your site and the words HARMLESS——-after reading all about your dog Luna and how you were on Shark Tank–one of my favorite shows—I knew I had to order your sample kit and try it on my most sensitive cat Bootsie—–if she can get rid of her fleas then I know it was meant for me to find you and you beautifuf dog Luna–may she be on the rainbow bridge waiting for her mommy—by the way –one of my furry grandaughters is also named Luna[a 13 year old Border Collie] and she is my favorite.of 6 granddogs!!!! !Thanks for saving our beautiful pets—you and your crew are real earth angels!!!!!! We appreciate you reaching out to us about your experience and thank you for all of your kind words. Hearing stories like yours is what makes doing what we do all worth it. Our love goes out to all of your furbabies and granddoggies. Please let us know if we can help you in any way. We’re here for you!